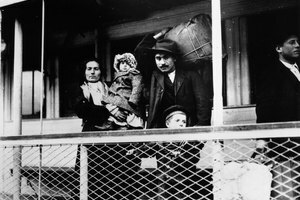 When Did the Italian Immigrants Come to the United States? 1907 was the peak year for Italian migration to the United States. 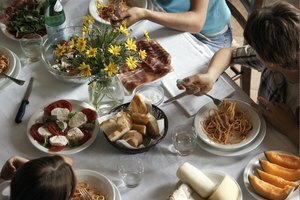 More than 17 million Americans claim Italian descent, according to the U.S. Census Bureau, making Italians the United States’ fourth largest ethnic group after German, Irish and English. Most of these Americans are descendants of past migrants from Italy. Italian immigration peaked in the early 1900s, when Italians dominated occupations such as street sweeping and construction in cities like New York and Chicago. Figures collected by the Department of Commerce’s Bureau of the Census over more than 150 years reveal clear changes in migration patterns over time. Before 1880, the total number of Italian immigrants never rose above 10,000 in any year, but after that year the flow of immigrants grew rapidly. 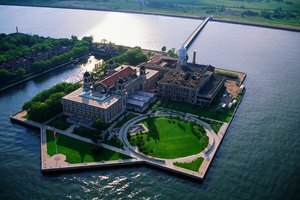 At least 35,000 Italians arrived in the United States every year throughout the 1890s, while after 1900 the numbers rose again into six figures up to the outbreak of World War I in Europe in 1914, before falling dramatically in the early 1920s. The decade before 1914 saw the largest numbers of immigrants leave Italy for the United States. 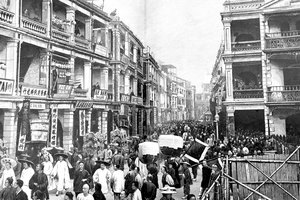 A total of 285,731 migrants arrived in 1907, the overall peak year, but 1903, 1905, 1906, 1910, 1913 and 1914 all recorded annual totals in excess of 200,000. The year 1920 proved to be the last year in which Italian immigration rose above 200,000, but by that time more than four million Italians lived in the United States, making up an estimated 10 per cent of the foreign-born population. The majority of Italian immigrants at the turn of the century -- perhaps as high as 78 percent of the pre-1900 total -- were young men seeking work and opportunity. Many did not intend to stay in American permanently; it was just a place to earn money to improve their lives at home. The Library of Congress estimates that between 30 and 50 percent of these young men eventually returned home to Italy, where they were known as “ritornati,” or "returnees." The peak period of Italian immigration coincided with a period of immense poverty in much of Southern Italy. 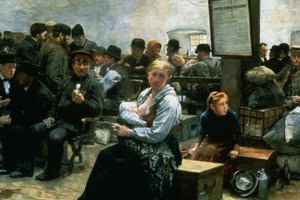 Prior to the 1890s, most immigrants came from northern Italy, but from then on, immigration rates were particularly high from Italy’s poor southern half. In this region widespread poverty and natural disasters, like the Messina earthquake and associated tidal wave that killed 100,000 Italians in 1908, made life extremely difficult. Wage levels made the United States very attractive: a carpenter’s weekly wage in Italy could be as low as $1.80, but in the United States, a 56-hour working week could earn a carpenter up to $18. Why Did the Importation of Enslaved Africans Increase Dramatically in the Late 1600s & Early 1700s? Kennedy, Rita. "When Did the Italian Immigrants Come to the United States?" 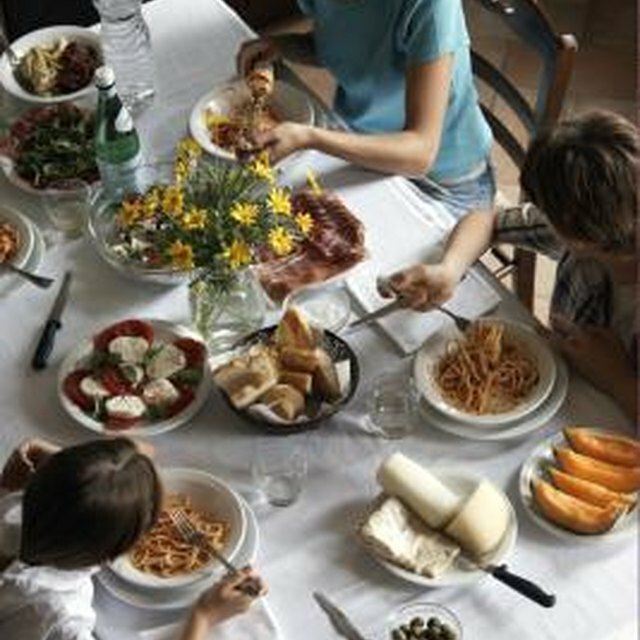 Synonym, https://classroom.synonym.com/did-italian-immigrants-come-united-states-9279.html. Accessed 24 April 2019. 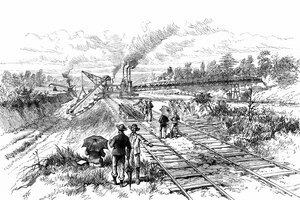 How Did the Panama Railroad & Canal Affect Population?